Designed in England, this Portobello by Inspire Devon Enjoy Every Moment mug will add a touch of luxury to your tea break. 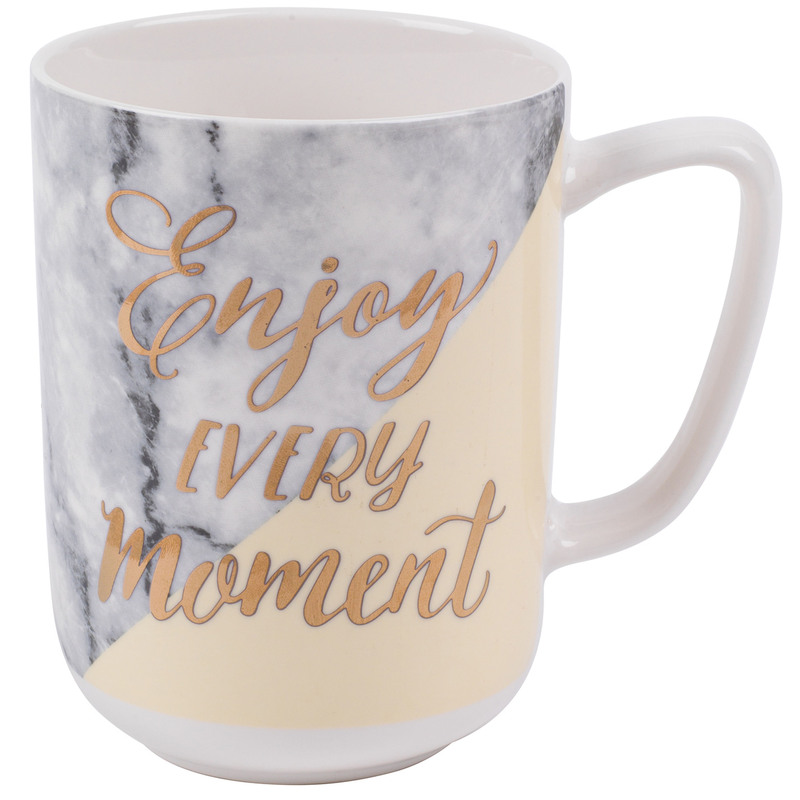 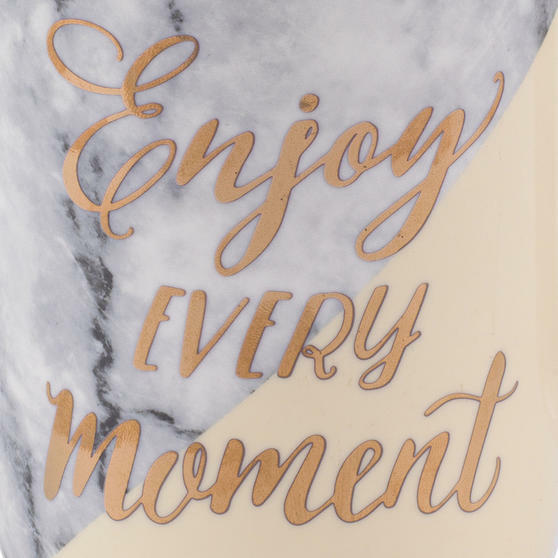 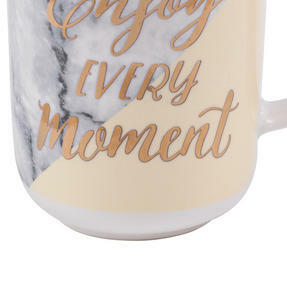 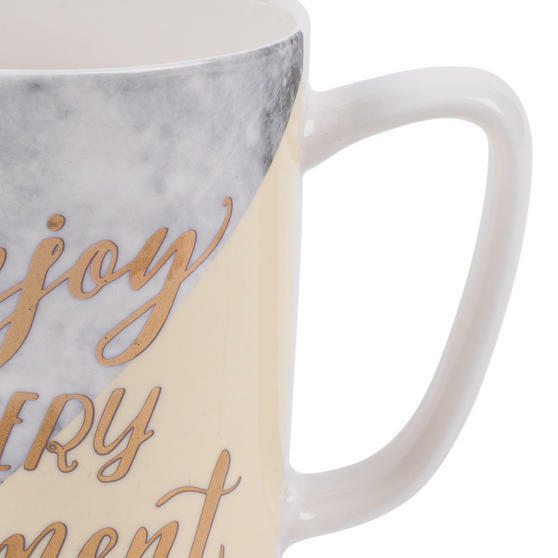 Crafted from high quality new bone china, this deluxe marble effect mug features real gold plated detail with an inspiring quote and gloss finish which will maintain its quality beautifully. Convenient to clean with a generous 600 ml capacity, this gorgeous mug is ideal as a gift or simply to treat yourself, with a strong handle and smooth shape which feels lovely to hold. 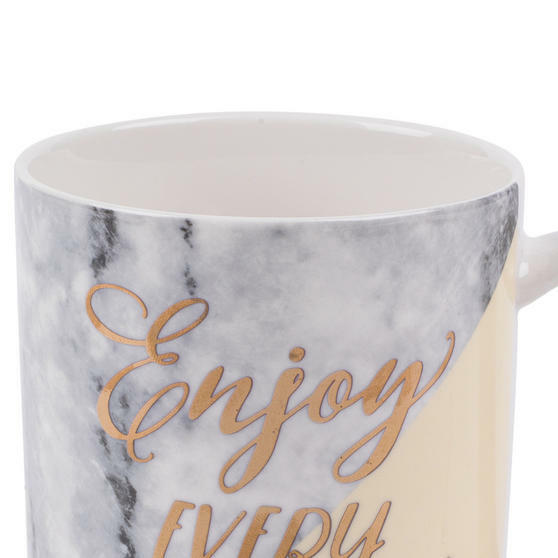 With a top diameter of 8.8 cm and a height of 11.2 cm, it comfortably holds 600 ml, perfect when you want to relax with a large coffee. Whether for work, home or a friend, this delightful mug is sure to impress, so you can enjoy a peaceful break wherever you are.